Singapore (VNA) – There remains considerable potential for Vietnam to export rice to Singapore, according to a Vietnamese delegation which visited Singapore in early August to seek ways to boost the shipment of agricultural products to this country. The delegation included representatives from the Ministry of Industry and Trade, the Ministry of Agriculture and Rural Development, the Vietnam Food Association, along with eight leading rice exporting companies. They had working sessions with relevant agencies of Singapore such as the Ministry of Trade and Industry (MTI), the International Enterprise Singapore (IES) and the Agri-Food and Veterinary Authority (AVA) to learn about the management policy, the export-import situation and the transit mechanism for rice in Singapore. The Vietnamese delegation also met representatives of local biggest retail chains like NTUC Fair Price, Giant and Sheng Siong to set up relations and learn about ways to directly export Vietnamese goods to these supermarkets, instead of via foreign traders. 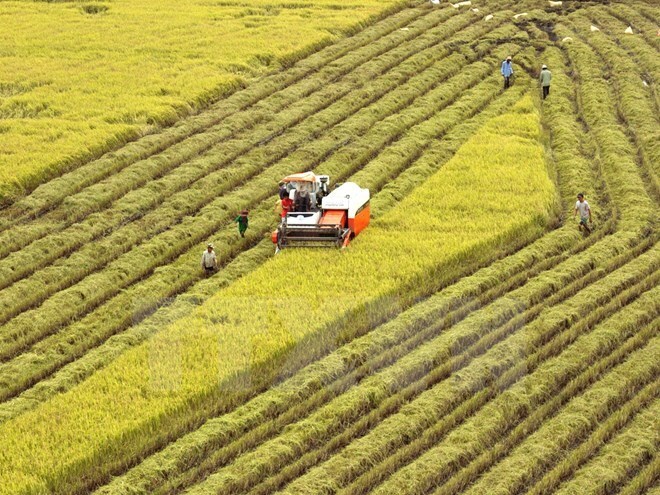 Le Xuan Minh, a representative of the Vietnam Northern Food Corporation, said they found that Singapore has great potential and demand for Vietnam’s high-quality rice products, especially fragrant rice. Meanwhile, the Singaporean side also highly evaluated the quality of Vietnamese agricultural products, noting that a large number of Vietnamese goods such as rice, aquatic products, fruits and vegetables are being sold at their supermarkets. Vietnam is currently the third biggest rice exporter to Singapore, after India and Thailand, with 80,000-90,000 tonnes of rice worth nearly 80 million SGD each year, making up 20 percent of the local rice market. Lim Hock Leng, Managing Director of Sheng Siong Group Ltd, said his firm has imported rice from Vietnam since 2010. Its supermarkets are also selling other Vietnamese products such as groceries, fruits and vegetables. The Singaporean market relatively prefers Vietnamese rice, he stressed, adding that the sales of Vietnamese rice at the Sheng Siong markets have been on the rise. Vietnamese rice has competitive prices and high quality, he added. According to Singaporean officials and business leaders, to export more rice to the country, Vietnam needs to build its own rice brands while ensuring quality and competitive prices.